The town of Brasov (Kronstadt, Brassó, Corona) is for centuries one of the most important, powerful and prosperous cities in Romania. 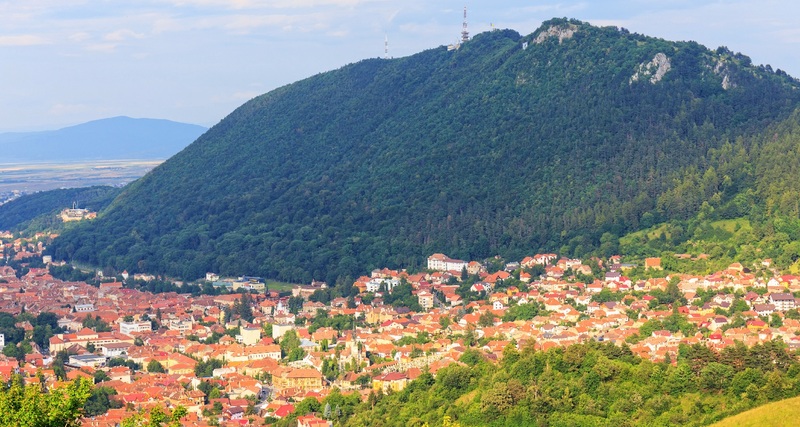 Due to the privileged geographical position, the Carpathian mountains, Brasov county occupies in terms of physical-geographical the area Brasov Depression. It is located at an altitude of 625 m, it is bordered on the S and SE by the mountains Postavarul, Piatra Mare and Tampa. Close to Brasov are the cities Predeal, Busteni, Sinaia, Fagaras and Sighisoara. 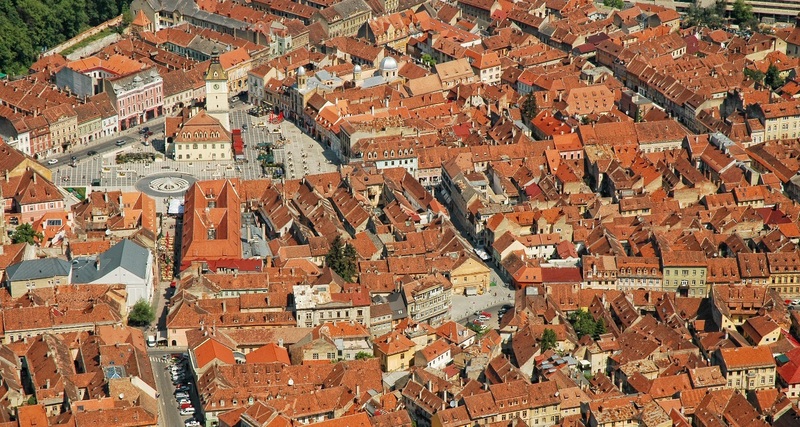 Being an important cultural center and one of the most important tourist centers of the country, Brasov is characterized by a rich heritage consisting of historical and architectural monuments. The city is divided into an area of baroque influence, stretching from the foot of Tampa, and an industrial area. The main attraction is the old town - Schei district. 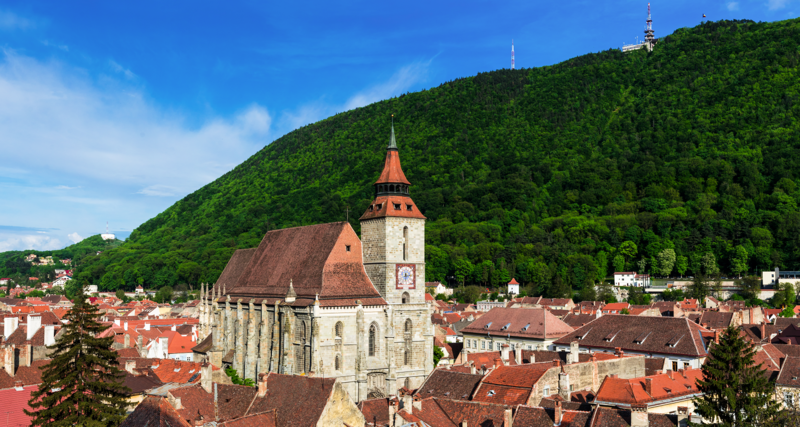 On the list of tourist destinations is the historic center of Brasov, Sfatului Square, where there are Town Hall, County History Museum and nearby, Ecaterina Gate, Schei Gate and First Romanian School. A special role in the cultural life of Brasov plays the Black Tower, which dates back to the XIV century. The tower hosts numerous exhibitions throughout the year and offers tourists the chance to admire the panoramic view. Between Schei Gate and Cerbului street, there’s Sforii Street, the narrowest street in Brasov. Near the city, one can visit the fortress of Rasnov, Poiana Brasov and Bran Castle.